Someone emailed me and asked me to go over again how I went about publishing my mom's memoirs. These were her essays she'd written which I'd published on my website years ago. I was always glad I'd helped her with that book by writing part of it, editing, and then publishing it, but I'm especially glad now that she has passed. In my freelance business, I work with Adobe InDesign. After I'd edited and proofed the manuscripts, I did the format and layout using InDesign. However, there are a lot of programs now that will save a file as PDF including Word Perfect, MS Word, Open Office, and shareware applications. My daughter who is an artist did the cover art. That meant that all the creative and technical aspects of publishing a book were done by us rather than contracted with another party to do them. I chose CreateSpace which is owned by Amazon to publish the book because they offered a free ISBN and the best money deal. It didn't cost me a penny to publish this book unless I ordered a copy. There are many online publishing companies from which to choose, but be sure you read their TofS and understand the fee structure. Their website is intuitive and user friendly. It's simple to create an account. You fill out all the forms including a captivating description of the book and its author. Then upload the content as one file and then the cover as a second file. The book is sold on its own page on CreateSpace which contains the information you filled in and on Amazon since CS is owned by them. I chose the Professional Plan because of the higher royalty rate and lower production cost of each book. As I said, my cost was zero until I ordered copies. First, I ordered a proof copy. Don't skip this step in the interest of economy. Order a proof copy to make sure your book is mistake free. If it's not, make corrections to the file and upload again. Then order another proof copy. Mom's book is priced at $14.99, and we've sold about 100 copies. I've done no publicity for the book other than to tell friends and relatives about it. I think the book is well done editorially and in keeping with good production values. It's proved of interest to those who like popular histories and who want to know about life from the Roaring Twenties to World War II from the perspective of a girl growing up in the rural South. 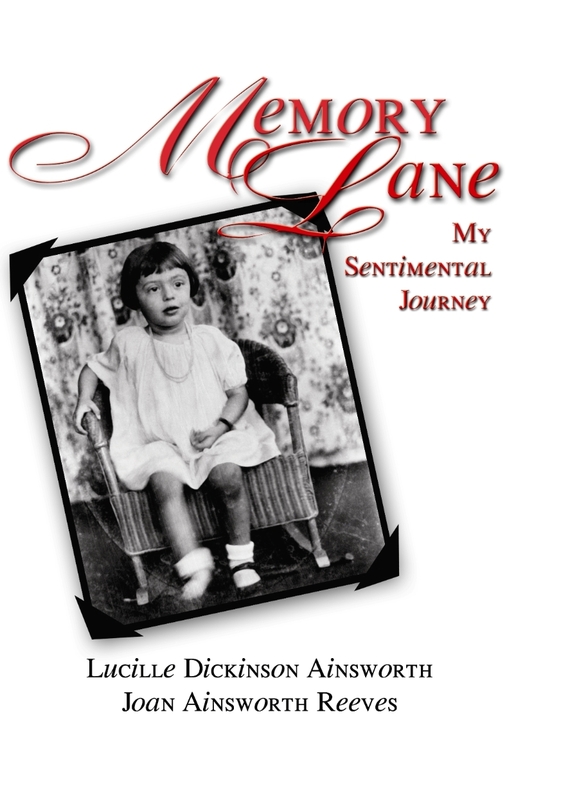 Please take a look at Memory Lane and you can see what kind of information gets entered to create its own webpage on the CreateSpace site. Here's where you can see it Memory Lane on Amazon My next step is to publish a Kindle edition of the book. The important thing to remember is that if you know how to do everything from editing to layout to cover art, or you know someone who does, then the cost is zero. If you don't know how to do those things, then you need to pay someone to do them for you. CreateSpace offers those services, or you can get a freelancer to do them for you. If you have any other questions, feel free to email me. Joan at JoanReeves dot com. Some projects are imminently suitable for self-publishing, but make sure you produce a book that is as professionally done as one published by a "real" publishing company.